I confess, I am not a true Civil War buff. I am not even a pretend Civil War buff. 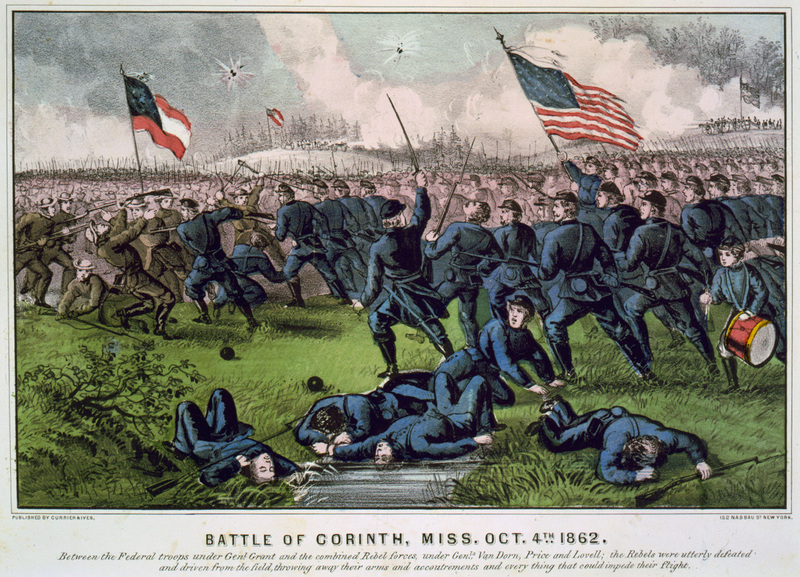 But I’m pretty sure that the Civil War as depicted by Currier & Ives was a lot less bloody than the real war. 2087 were missing or captured. Corinth, Miss. is the county seat of Alcorn Co. The population of Corinth, Miss. in 2010 was 14,573 individuals, 1030 of whom were veterans of the United States Military. This concludes the “Crappy Old Book of September” series. Not an especially exciting series, I will admit, but I hope you enjoyed it.